NEW Prizes for Submissions: Submit a Paper to DJIM Today! With the semester coming to a close, we are once again looking for your submissions for our next issue! We are also excited to announce that DJIM is launching prizes for its top submissions in this year’s edition! This year, prizes will be awarded for the top three submissions. Rate the quality of the paper on a scale of 1 – 10, where 1 is poor and 10 is exceptional. The average of the three peer reviewers’ ratings (1 – 10) will serve as the basis for the Editorial team’s decisions. We look forward to your submissions (deadline is January 8th, 2016)! If you have any questions, please do not hesitate to contact us (djim@dal.ca). Missed our Information Session yesterday? Get caught up here! Want to know what you missed yesterday? Get caught up here! The information session slides and handouts are posted below. 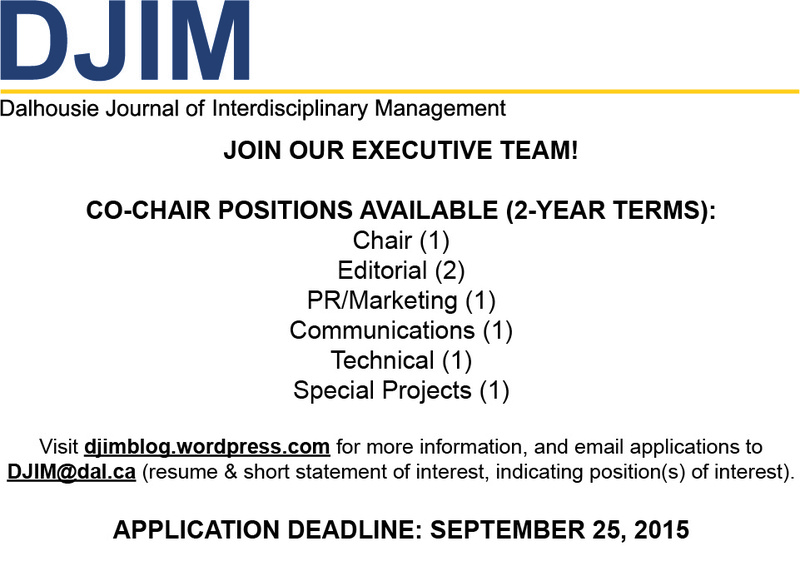 Do not hesitate to contact us at djim@dal.ca if you have any questions or are interested in getting involved! Welcome Taylor, one of our Incoming Communications Chairs! Taylor was born in Nanaimo, British Columbia, and moved to Nova Scotia with her family in 2004. 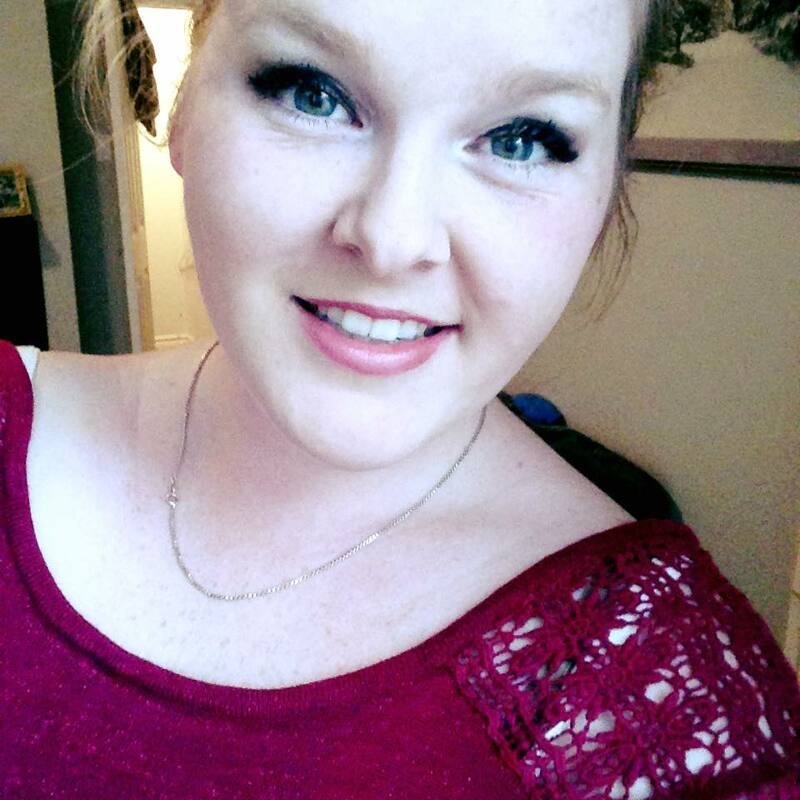 She has lived in Nova Scotia since then, and attended Mount Saint Vincent University for her Bachelor of Arts with Honours in Sociology/ Anthropology. Taylor has an interest in food security and policy issues, which she wrote her fourth year thesis on, and has driven her to begin her MPA degree- which she is now in her first year of at Dalhousie. Taylor loves anything outdoors- especially the ocean, animals (especially her cat, Peeka), reading and writing. Welcome Kathryn, our incoming PR/ Marketing Chair! 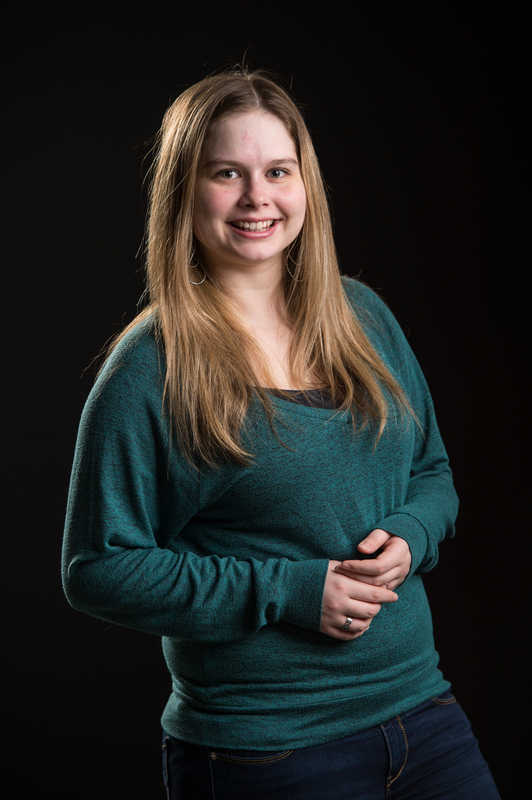 Kathryn was born and raised in Ottawa and is currently pursuing a Master’s of Business Administration here at Dalhousie. She fell in love with the university and Halifax after visiting her sister here last fall. Kathryn recently graduated from the University of Guelph with a Bachelor of Science in Human Kinetics and a minor in International Development. In her spare time, she enjoys running, skiing, swimming, cooking, cottaging, and hanging out at coffee shops. Kathryn is excited to be the incoming PR/Marketing Chair and is looking forward to being a part of the DJIM team! Welcome Nicole, one of our Incoming Communications Chairs! Nicole is originally from Riverview, NB. She recently graduated from the University of New Brunswick with a Bachelor of Arts honouring in Political Science and minoring in French. During her undergrad, she worked for the student union where she was involved in communications and lobbying. She is in her first year of the Masters of Public Administration (MPA) program at Dal. In her spare time, she enjoys playing the fiddle, reading and watching movies. Interested in being a part of DJIM? We can’t wait to meet you! To apply, please send your resume and a short statement of interest, including the position(s) you are interested in apply for, to DJIM@dal.ca. Applications are due September 25th. We hope you join us in making DJIM fantastic this year! DJIM’s 2015 Edition (Volume 11) Has Officially Launched! Congratulations to all the individuals published in this year’s edition of the Dalhousie Journal of Interdisciplinary Management! Congratulations again to all the published authors! If you are interested in being published in the 2016 Edition of DJIM, you can find more information here: DJIM Submission Policies. Click here to check out new and archived articles published by DJIM!